Coins and identity are intricately linked. Cities and rulers used coinage to strengthen a sense of collective identity. In the ancient Roman world, this was achieved mostly by depicting commonly accepted symbols on the coins and medals, such as city emblems and deities, or by connecting themselves with such shared values as piety, military prowess and justice. 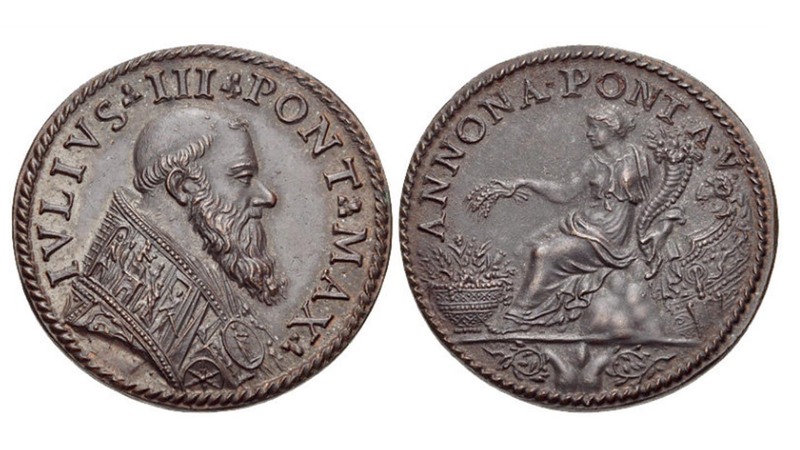 During the Early modern period, popes reverted to Roman iconographic traditions and copied ancient themes on their medals. In both periods coins and medals were deployed to create or strengthen a collective frame of reference, by which an appeal was made to unity and continuity. In this way, leaders aimed to legitimize their position of power. Coinage and the construction of a collective identity were crucial for reigning effectively. This ten-day course in Rome focuses on the role of coins and medals in the process of identity formation in the Roman world as well as in the early modern period from a comparative perspective. The main questions that will be addressed during the course are: How can we use coinage to study the identities of cities and larger politico-geographical areas on the one hand and identities of emperors and dynasties on the other hand? Who issued the coins and the medals? Who used them? Could the messages on coins target specific audiences? What was the influence of tradition on the messages spread by this medium? What do we gain from comparing coins from different periods (antiquity and the early modern era), different types of rule (city states and empires) and different scales (local and imperial)? This course will provide the students with theoretical knowledge on the ideological function of coins and medals as well as on different numismatic methods. In addition, practical skills will be gained; together the students will create an exhibition, focusing on the theme of the course, of the numismatic objects in the plaster cast collection of the DAI. Drs. Paul Beliën (Amsterdam), Dr. Liesbeth Claes (Leiden), Dr. Martin Hirsch (München), Prof. Dr. Fleur Kemmers (Frankfurt am Main), Dr. Erika Manders (Göttingen), Dr. Marleen Termeer (Leiden), dr. David Wigg-Wolf (Frankfurt am Main) and guest lecturers. The master class is a selective course with a maximum of 10 participants. The selection of (R)MA students is based on grades, the positioning of the course in the student’s curriculum, and a letter of motivation. The selection of PhD students is based on the letter of motivation and curriculum vitae. Deadline for applications is 1 July 2017.